Google changed the tech world when it emerged as the dominant internet search engine in the 2000s. Today, Google does a little bit of everything in tech — including manufacture home devices. Google's hardware offerings include some that are of particular interest to cord cutters, so let's take a moment and run through Google's streaming platforms, streaming hardware, smart home products, and other goodies that might have a role to play in your ultimate cord-cutting setup. Along the way, we'll talk about Chromecast, Android TV, and more. Cord cutters use a wide variety of streaming services and other techniques in order to replace the content that they used to get from a cable or satellite TV bundle. Switching between these different services and options would be a pain if it were not for the existence of streaming platforms like Android TV. In the sense that we’re using it here, the term “streaming platform” means a platform that organizes other streaming services. A streaming platform can be an operating system or media center application, and it houses other apps within it: navigating a streaming platform like Android TV, users can select from a menu of different streaming options. 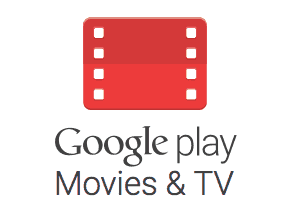 Android TV is Google’s streaming platform. (Android TV is not the same thing as Chromecast, which is Google's wireless transfer protocol and related device brand — Chromecast works a little differently from most other streaming platforms and devices, and we'll talk about it in a later section.) 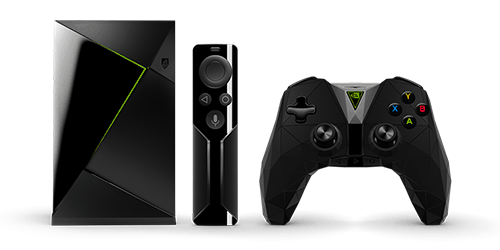 Google licenses its Android TV platform out to manufacturers of various devices, which is why you’ll find Android TV powering devices like Sony smart TVs and the Nvidia Shield. But what can you use Android TV for? And which Android TV device is right for you? Here's what you need to know. What apps and services are on Android TV? Android TV is based on Google’s Android mobile operating system. Like its ancestor, Android TV features a solid app library. You’ll find apps for all of the major streaming services on Android TV, plus apps for a whole bunch of more niche ones. Android TV makes it easy to rent or purchase movies through online marketplaces, too. As you might expect from a Google-backed platform, Android TV surfaces Google-owned options like the Google Play Store (you can also get the Google Play Movies & TV, Google Play Music, and Google Play Games apps, of course). You can still seek out movie purchases and rentals through Amazon and other platforms, though. What devices can I use to watch Android TV? Some streaming platforms are nearly synonymous with the platforms they run on. For instance, to use the Roku platform, you’ll need a Roku Ultra, Roku Express, or another Roku device; to use the Fire TV platform, you’ll need a Fire TV, Fire TV Stick, or another Fire TV device. Android TV is a little different, because Google licenses its platform out to other manufacturers. You’ll still need a device that runs Android TV in order to use Android TV, of course, but that device isn’t necessarily going to be branded as an “Android TV” in the same way that a device running Roku is branded as a “Roku.” Let's take a look at some of your top options. This is not an exhaustive list, but it's enough to cover us for now! Again, though, these aren't Google-made devices. You can find more coverage of some these devices in the pages that we've dedicated to their manufacturers, but this particular page is dedicated to Google's own products — it's high time that we moved on to some of those. We'll start with a line of products that serves a purpose that's somewhat similar to that of the streaming products above: Google's Chromecast line. Google licenses its Android TV platform out to other manufacturers, but that doesn't mean that Google doesn't have a presence of its own in the streaming hardware business. Google has a streaming device product line of its own — though it's not one that's built around the Android TV platform. 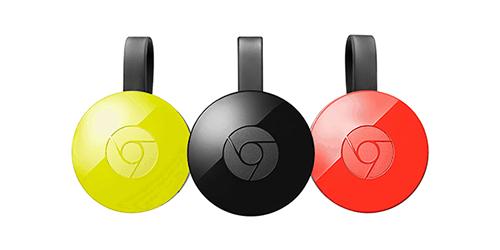 There’s no other streaming platform or device quite like Google Chromecast. While most other devices play host to streaming platforms that offer menus of apps and content discovery features, the Chromecast leaves that work to other devices. From smartphones, tablets, laptops, and other devices, Chromecast users can take their time to choose what to watch or what music to play, and can then sling that good stuff up onto their TV screens or into their speakers using a Chromecast device, which relies on Google's Google Cast wireless transfer protocol. Google's Chromecast is a pretty unique streaming device, and a popular one, too. Let’s take some time to break down everything you might want to know about Google’s Chromecast. 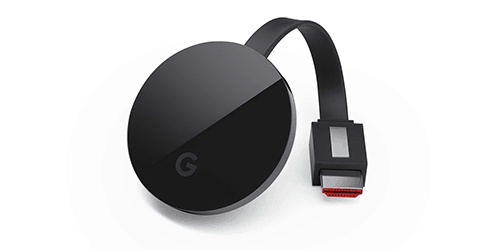 Below, we’ll explain how Chromecast devices work and connect you with our pages on specific Chromecast models. What apps and services are on Chromecast? When you fire up most streaming devices, you are met with a menu full of apps. This is a hallmark of streaming platforms like Android TV, Fire TV, and Roku: the apps, and all of the content within them, can be explored right there on the device. That’s basically just a screensaver. There are no apps in sight. What gives? Instead of running a typical streaming platform, Chromecast relies on the Google Cast protocol to carry streams from other devices to the screen you’re watching. In a sense, apps and services aren’t really “on” Chromecast so much as they are compatible with it. Apps that support Chromecast can send their stream to a Chromecast device (and, by extension, to the screen that Chromecast device is attached to) with the tap of a button. So which services support Chromecast? Most major streaming services, including Netflix, support Chromecast use via most of their apps for major platforms like iOS and Android. Google apps and programs, including the Chrome browser, also tend to play nice with Chromecast. And there are plenty of more minor apps and services that support Chromecast, too. Notably absent from the list is Amazon Video, the app that includes Amazon's video rental and purchase marketplace as well as the subscription streaming service Amazon Prime Video. You can work around this by casting an entire Chrome browser tab or the screen of an Android mobile device while Amazon Video is playing in said tab or on said device, but these are imperfect solutions. Hopefully, Amazon and Google will bury the hatched someday and fix the issue. For now, though, just be aware of this limitation! Still, there are tons of great apps that you can use with Chromecast. And those apps include Google Play Movies & TV, which is a good alternative to Amazon's movie rental and purchase marketplace. So how can you watch something on Chromecast? With a Chromecast! When we talk about Roku or Android TV, we’re talking about a streaming platform that runs on certain devices (sometimes those devices share the platform’s branding, as is the case with the Roku platform and Roku devices). But with Chromecast, we can honestly say that Chromecast is the device. As we explained earlier, Chromecast devices use Google's wireless transfer protocol, Google Cast, to display streams from other devices. Google Cast is more or less Google's own version of Bluetooth or (a bit more precisely) Apple's own proprietary wireless transfer protocol, AirPlay. But while AirPlay is just one feature on the pricey Apple TV, Google has made Google Cast the sole purpose of its much cheaper Chromecast devices. So you watch Chromecast on a Chromecast device. And you have a few choices, so let's run through them! Google's entry-level Chromecast is one of the best deals in streaming. The small, portable device can cast streams in 1080p HD. 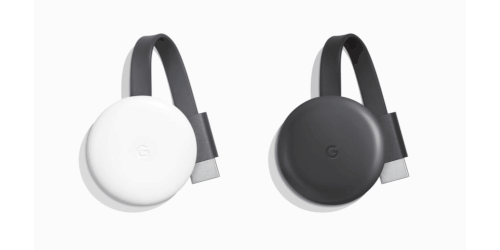 Google's second take on its Chromecast introduced the disc-shaped dongle that is standard now. This is still a serviceable 1080p streaming device. Upgrading to the Ultra will give you the power to cast streams in 4K Ultra-HD. Fancy! 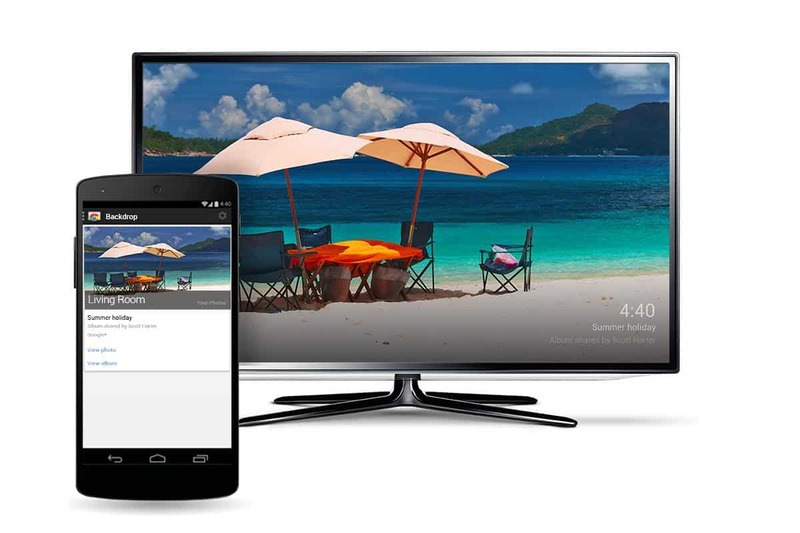 Google's Google Cast wireless transfer protocol works with more than just video. 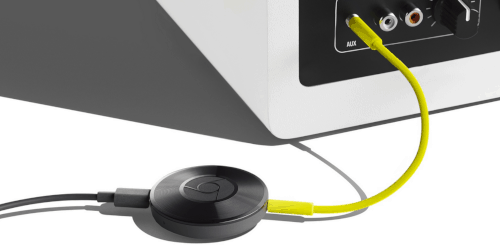 The Chromecast Audio is designed to cast music instead. There's no speaker built in here: you connect your Chromecast Audio to an audio device using the included 3.5 mm cable (that's headphone/aux size). 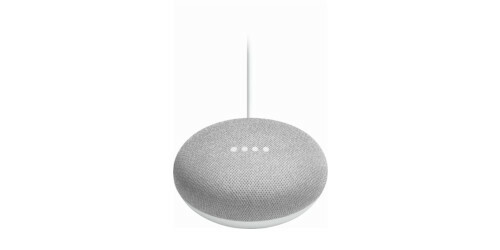 Very affordable even when frequent sales are not in effect, the Google Home Mini is an easy way to get started with Google Assistant. It's a smart speaker with a built-in microphone. To ask Google Assistant for information or to do something, just say “Okay, Google,” and proceed with your request. 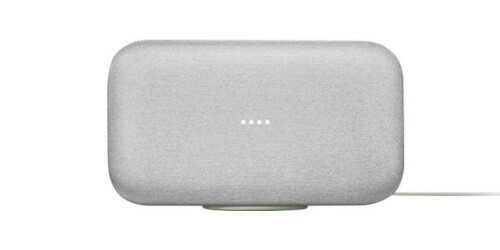 The full-sized Google Home device features a better speaker than the one in the Google Home Mini, plus a touch-surface top. Google counters rival Amazon's low prices with sales. 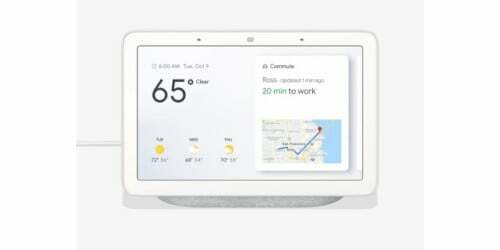 The Google Home Hub features a screen that allows Google Assistant to show you visual information, play videos, and more. It works with Nest home security cameras. 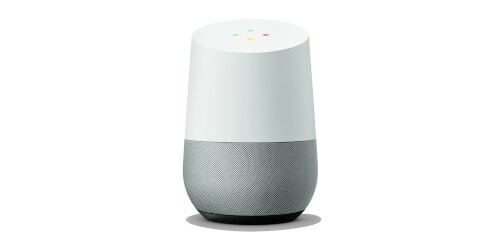 What makes this Google Home device the top of the line? The speaker. Actually, there four speakers, including two woofers. Sound quality is everything for the Google Home Max, which will actually detect your room's acoustics and intelligently adjust its EQ levels to suit your space. You can also use Google Assistant on this thing, of course. Android is Google's massively popular mobile operating system. Android is the primary rival to Apple's iOS, and it is an excellent choice for phones and tablets. Google licenses its Android platform out to other companies to use in devices they manufacture, much as it does with its Android TV platform. But Google also makes a few Android-powered devices itself, which is what we'll focus on here. Google's Pixel phones are sleek and powerful Android mobile options. 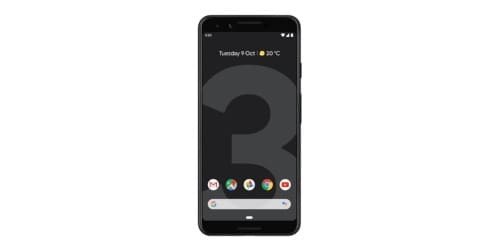 The latest model is the Pixel 3. 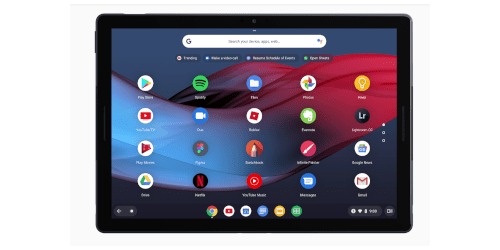 There are lots of Android tablets out there, but Google's own Pixel Slate is easily among the most elegant. It's thin, light, and powerful. Plus, it plays nice with Google's Pixel phone and Google Home products. The Pixel Slate is compatible with a detachable keyboard (sold separately). Chrome is the brand that Google uses for its web browser. 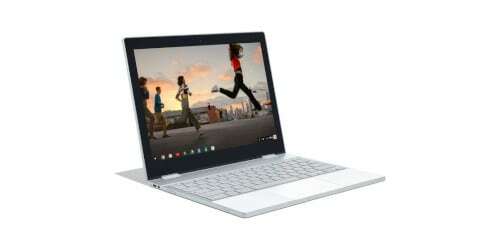 It is also the brand that Google uses for its computer operating system, Chrome OS. Chrome OS was initially designed to be used with lightweight, affordable hardware. The emphasis was initially on the internet: “Chromebooks” could open Chrome and run in-browser apps like Google Docs and Google Sheets, but they didn't have any real offline capabilities. Chrome OS has come a long way since then, and users of powerful enough Chromebooks can use Android apps in addition to their in-browser options. Google licenses out its Chrome OS to other manufacturers, so you don't have to buy a Google-branded product to get Chrome OS — but you can. As the price suggests, Google's Pixelbook is not your grandfather's lightweight Chromebook. This is a powerful device that is built to compete with elite rivals like the Macbook. On top of the great hardware under the hood, the Pixelbook features the ability to fold from laptop mode to flat or stand-up tablet mode.